1 pack contains 10 extra-wide tape extensions. Virgin Remy is the longest-lasting hair available! We only use real raw virgin hair, which is very rare and is not easy find in large quantities. For this reason, some colors will be sold-out at times. Please read this description all the way to the bottom for complete details and specifications before ordering. The weight per pack will be less the shorter the length of hair, in order to keep the correct ratio of hair on the tape. Do not buy hair by amount of strips per pack. Each company has more or less hair per strip, so this is not a accurate way to know how much hair you are getting unless you know the amount in grams. Our strips are 33% wider and with more hair than most other brands. Each pack has ten 2-inch (5cm) strips. Stylists and Salons, this is the hair for your fussiest clients that want only longer-lasting, natural looking extensions! The real difference to normal Remy becomes noticable after a few weeks and especially after a few months. Virgin hair will feel softer and last longer! L&B Virgin Remy is made from the most carefully selected, highest grade virgin cuticle-hair available. The difference starts in the raw hair selection process. Only top-quality healthy hair that has never been processed in any way, may be called Virgin. Many claim to have Virgin hair, but few actually do. Virgin hair makes up far less than 10% of all raw hair, and is becoming increasingly rare. 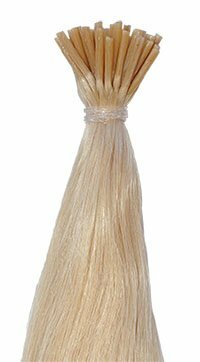 Our Virgin Remy is hand-selected from donor ponytails and specially processed by us to protect the entire cuticle-shaft during processing. 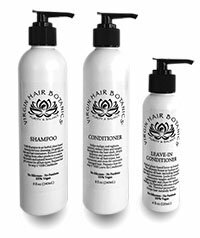 Unlike remy hair, no harsh and hot bleach baths are ever used on our virgin remy line, which makes it longer lasting, smooth and soft. Our Virgin Remy will never tangle. The cuticles stay flat and tight …which protects the vulnerable inner-core from drying out, making this hair very long lasting. It will feel and act like your own hair… will not dry-out and tangle like normal extensions and will stay lovely and hydrated. Virgin European hair has a finer structure than other hair extensions, which are usually made from Asian hair which is thicker in diameter. 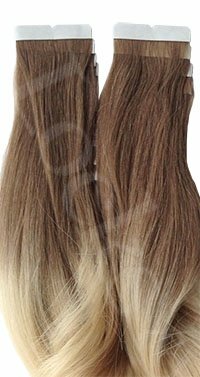 Extensions made from Euro Virgin will be much finer in texture as the single hair is not as thick in diameter as Asian hair. REAL virgin hair is never “double-drawn” despite what some companies may tell you. Very few companies actually even sell “real” virgin hair, it is, more often than not, just a lower-grade remy hair double-drawn and they just call it virgin hair in order to sell it for a higher price. Calling hair “virgin” has become common place, even if it is not real virgin. There are no laws that monitor what a company may call virgin hair. Real virgin is almost never double-drawn, as it is too expensive and very wasteful of precious hair to do so. If 50 grams of virgin hair that is called “double-drawn” costs several hundred dollars, it may be real virgin double-drawn, but anything under that price is not. Locks & Bonds Tape Extensions are the EASIEST and FASTEST way to add extensions without damage to your own hair. Great for Salons and Stylists, less time…more installs! L&B extensions are pre-taped with SuperTape! Tape extensions will remain attached to your hair for two months or longer. Tape extensions can be re-used simply by adding new tape. They can be re-used several times. Pre-taped with medical-grade SuperTape or German Blue Tape! Be sure to always have an extra tape roll on hand for touch-ups. Available here. IMPORTANT: The weight per pack will be less the shorter the length of hair, in order to keep the correct ratio of hair on the tape! Each 22″ strip has 4 grams of hair, which is twice as much hair per strip as most brands (18″ length has 3.8 grams and 14″ have 3.1 grams per strip). L&B strips are 2″ (5 cm) wide, which is 33% more than than all other brands that have the only the standard 1 1/2″ strips! 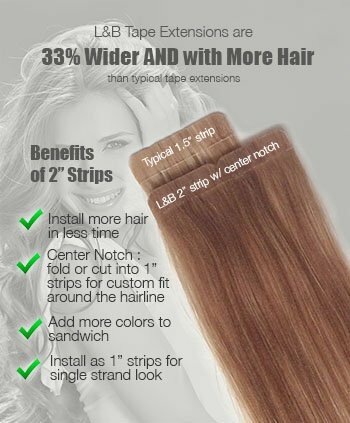 10 L&B strips are almost as much hair as 20 strips that are only 1 1/2″ wide! Don’t be fooled thinking that 20 smaller strips have a lot more hair. 2″ wide strips mean installation is much faster with less fuss! 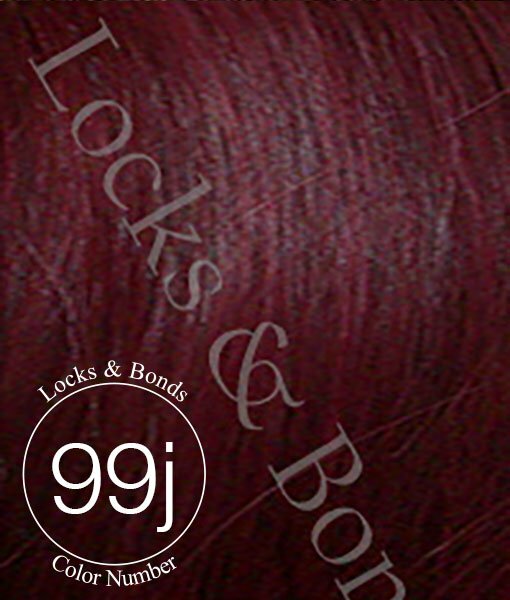 L&B Seamless Tape Extension bonds are made with an inner-lining of super strong, yet feather light layer of silk cloth. 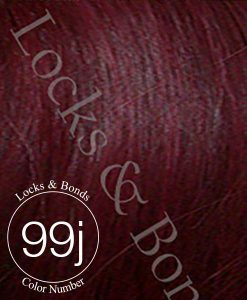 This silk layer will keep your bonds strong for many installs! Silk is one of the strongest thinnest and most lightweight materials available and will not rip. Because the tape is so flat, they can be worn very high up on the head. L&B Tape Extensions are made from the same finest European Texture Cuticle Intact Remy Hair that many know from our I-Tips. Tape Extensions are easy to apply and remove again without damage to hair. Remove quickly and easily with Tape Extenremover or 91% rubbing-alcohol available in any drug store. Only a few drops between the tapes will release the hold within a minute or two. Use fingers to work between tape strips. Use fine-tooth comb to comb out any glue left in hair. Add more remover as needed. L&B Tape hair can be washed and styled any way you like. Our hair holds curls a long time when curled with a curling iron. Cuticle intact 100% human hair, cut from the donor in one long ponytail and left tapered and natural at the ends. Tapered ends make for a much more natural look than hair that is all one length. Extensions that are all one length look fake when installed and need to be cut and blended a lot, resulting in wasted hair. The biggest tell-tale sign that some has on extensions is when all the ends are the same length looking heavy and chunky. Most extensions that are one length are not true remy (despite claiming to be remy). Tapered hair will also hold a curl much longer. L&B strips are wider than most brands at 2″ (5 cm). Most all other brands are only 1.5″ wide. This means a faster install and less fiddling as with less wide tape extensions. L&B Exclusive “Center Notch” Design allows for incredible flexiblity! Choose your prefered width by cutting down the centered notch for 1″ wide strips or leave them at 2″ width. One inch strips are perfect for working around the hairline, sides of head and ears, or, if you would like to custom color blend with 3 colors per sandwich by adding 2 one inch strips of different colors on top or bottom of another colored 2″ strip. Each pack has 40-38 grams per pack and a total of 20″ of tape weft (10 x 2″ strips). Depending on how you use them, one pack makes either 20 x 1″ pieces for sides of head or parameters, or leave them uncut for 10 x 2″ pieces which are great for the back of the head where you want to install faster and with larger pieces. L&B Tip: Always know how many grams are in a pack before purchasing any hair extensions. This is more important than the number of strips per pack. Even though some companes may claim more strips, the total grams per pack may be less and individual strips may be skimpy making for less volume. Compare L&B prices with other brands by always checking the total hair WEIGHT and hair LENGTH per pack. If a brand does not mention how many grams per pack, always ask before you buy. Some brands may seem better priced at first glance, but will have less weight (less hair) per pack. Never buy from a store that does not tell you how many grams of hair you will be getting per pack. Sometimes you may have to get out your calculator and do the math to see the actual COST PER GRAM when comparing prices as the amount of grams per pack varies. Choose different colors for custom effects! Since two tape extension are always worn together as a “sandwich”, use one color for the top tape and a contrasting color (or two colors if cut into 1″ strips using the center notch) for the bottom tape for highlights or lowlights. 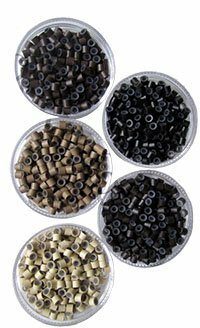 To make color customization easier, we keep our packs of hair at 40 grams, so that you can order many different colors without having too much of one color. When forced to purchase large packs, your customization choices are very limited! Along with the extensions, always order a pack or tape tabs or roll of tape in case you need to re-tape a section if you made a mistake in placement or, for touch-ups in case a corner gets loose! Each tape strip is 2″ wide x 1/2″ (5 cm x 8mm) and can be cut on the center notch to make 1″ strips. Always know the amount in GRAMS of hair that you are getting! If a company does not tell you this, do not buy. Do not go by number of strips in a pack as it can be misleading. Only grams count! Re-usable. Simple remove old tape and add new tape, presto! However, this is just a very general guideline, it is very individual, and personal preference, as to how much hair you will need. Also, correct placement can make a little go a long way. Generally, the shorter your own hair is, and the longer and fuller you would like it to be, the more you will need. For only volume, and less length, or to gently enhance your current length, you will need less…perhaps only one to two packs. IMPORTANT INFO ABOUT COLORS: Different monitors may show colors slightly differently, as can picture to picture. Apple monitors on different devices such as iphones, pads and tablets may show colors with more contrast and darker than they actually are. Tapered / layered towards the ends for a more natural look. the ends are left “raw” which means they will actually be 1-2″ longer. They may have to be trimed to desired length. For a full head install: 3 to 5 packs. It is very individual. The shorter your own hair is and the longer and fuller you would like it to be, the more you will need. For only volume, and less length, you will need less. 1 to 2 packs if cut to blend with your hair. **IMPORTANT NOTICE: Hair extension products should always be installed by a professional with experience in TAPE EXTENSIONS! If you have no experience in using this product, please go to a professional hair extensions stylist, with training in TAPE extensions, to have them installed. L&B is not responsible for any outcome of using this product incorrectly. With the purchase of all hair extension items, the buyer is claiming all responsibility for a correct application.